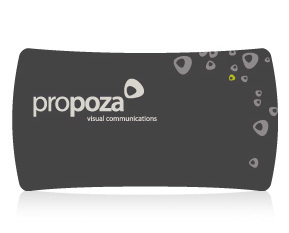 Propoza is a high – end multidisciplinary visual communications agency. Over the years, Propoza has established a reputation for integrity and originality in branding, graphic design and ideation, state of the art design capabilities, versatility and exceptional customer service. Branding. Corporate Identity. Print marketing. Website design. Content management solutions. Propoza Design Studio does it all. We know how to be original. With the most advanced technology. With complete in-house capabilities, we individually tailor design and production from concept to completion – on time, within budget, and with proven client satisfaction.